The presence of the once-powerful Cherokees is still evident throughout the southeastern United States in names like Chickamauga, Hiwassee, Chattahoochee, Unicoi, Oconee, and Tuscaloosa. For those interested in learning more about the rich heritage of the Cherokees by visiting their historic sites, the second edition of Vicki Rozema's Footsteps of the Cherokees: A Guide to the Eastern Homelands of the Cherokee Nation is an excellent guide. In the early 1800s, the Cherokee Nation reached from western North Carolina to middle Tennessee, and south to northern Alabama, Georgia, and South Carolina. Then, in 1838, thousands of Cherokees were forced to leave their farmlands, homes, and sacred sites during that infamous trek to Oklahoma, the "Trail of Tears." Rozema traveled over 4,000 miles and spent four years and close to 2,500 hours visiting, researching, and photographing the sites of the Cherokee Nation. 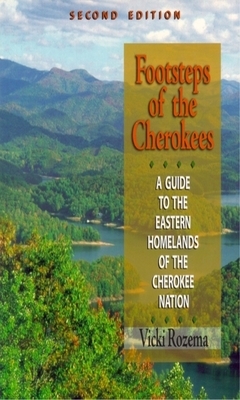 Footsteps of the Cherokees is a guide to these scenic, cultural, and historic locations. The book is divided into two sections. In the overview, Rozema traces the history of the Cherokees from their prehistoric ancestors to their interaction and conflict with white explorers and settlers to stories of the few who remained behind after the forced march west. This information puts the 190 sites listed in the book into historical perspective. The second section focuses on the sites themselves. The sites are divided into nineteen areas named after central locations. 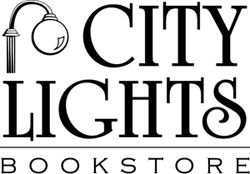 The starting locations include Chattanooga, Knoxville and Maryville, Atlanta, the Blue Ridge Parkway, Great Smoky Mountains National Park, Northeast Georgia, Northwest Alabama, and South Carolina. The coverage of each site includes a discussion of the area's history, background information, detailed directions, hours of operation, entrance fees, and important phone numbers. The book includes over 200 black-and-white photographs. Take an afternoon or weekend and travel back in time to the glory days of the Cherokee Nation. Whether in your car or favorite armchair, Footsteps of the Cherokees will take you to the great tribe's hunting grounds, battlegrounds, sacred lands, homelands, birthplaces, and burial sites. Vicki Rozema is the author of Cherokee Voices: Early Accounts of Cherokee Life in the East and Voices from the Trail of Tears and Voices from the Trail of Tears. The first edition of Footsteps of the Cherokees received an Award of Merit from the Tennessee Historical Commission in 1996. Also an acclaimed photographer, she is a history professor at the University of Tennessee.